We sat down with Kaci Roach, our Project Manager, to learn more about her role and how she keeps her projects and meetings on schedule. Average day?! I don’t even have an average hour. I support many of New Growth’s projects, so I am helping out where needed. For example, in the last week I have facilitated focus groups for a strategic planning project, written a memo on best practices for integrating workforce development principles into SNAP E&T programs, and designed a resource guide for organizations considering implementing mini-grants. I get to be involved with everything, I love it! Sounds busy, how do you keep everything moving at once? Well, I am a project manager. So aside from adding capacity to projects, I make sure that we are meeting our deadlines, and adjusting timelines as needed. I do a lot of scheduling. This even extends to the agendas I develop for the meetings I facilitate. I have heard that I have some of the most structured agendas in town. Got any meeting tips for us? When I am developing an agenda, I always consider three things: what are the intended results of the meeting, who is in the room, and how do they contribute to the result. No one likes to sit in a meeting that could have been an email. Everyone’s time is valuable, and meetings should be used as a tool to drive work forward. So, whether it is making sure everyone is on the same page or committing to being accountable for action items, I make sure the content and discussion topics are timely, relevant, and actionable. I also cannot say enough about neutral facilitation. In this style, the facilitator holds a neutral position in the meeting, and doesn’t steer the conversation toward one outcome or another. It gives the work of the meeting back to the group, which in my experience generates more buy-in and accountability for actions coming out of the meeting. 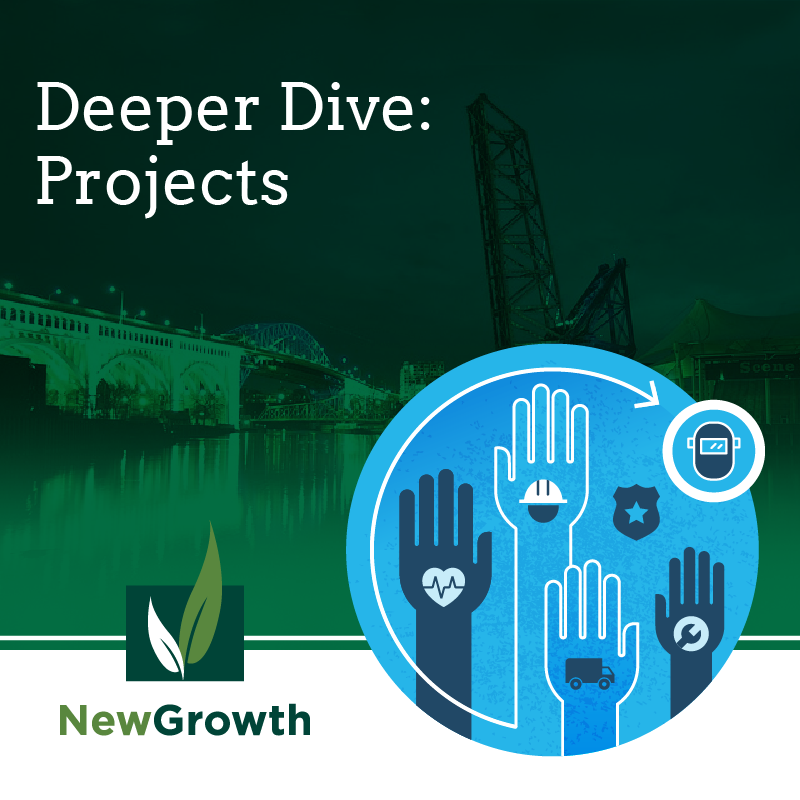 What have you learned about Workforce Development from working such a variety of projects? I think my biggest lesson is that Workforce Development is a two-sided equation. The work we do often focuses on building the skills and work readiness of un- or under-employed people or incumbent workers. But for a community to thrive, buy-in and willingness to train employees is needed from business as well. Increasingly, the projects that I am working on include deliverables for employer engagement. I think this is a step in the right direction, and I am excited to see the outcomes of these efforts. I love that I get to work on so many projects in a year. It keeps me busy! But more than that, the spread nature of our projects allows me to work with a number organizations and agencies who are making real change for individuals and communities. Knowing that I’ve had a hand in improving the lives of people across the country, whether it’s in my hometown of Dayton, OH or Chicago, IL, or Seattle, WA definitely keeps me going.